Thread: I think I'm pretty much there (for now). For the first time in a long time I am really happy to leave everything as it is and spend money on music not kit. 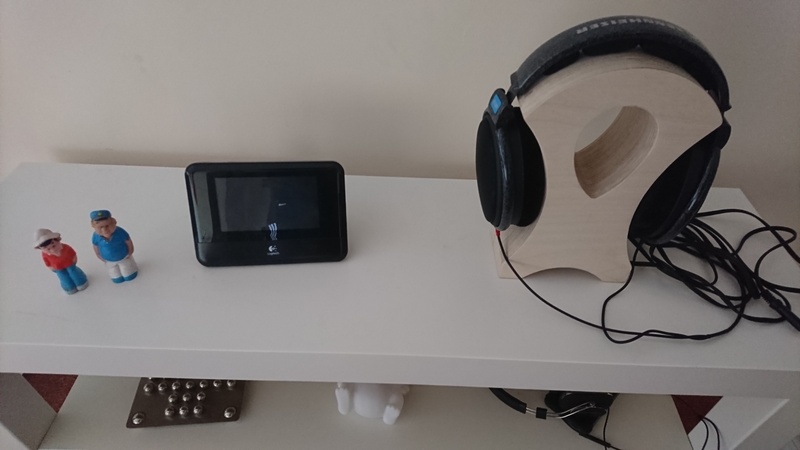 No major changes in the last few months, but I have added a Lehmann H/P amp and a pair of HD600s, which I am absolutely loving. I've got to spend a bit of time fine tuning, speaker placement is pretty plonk and go but I'm enjoying it so much I don't care. My apologies for the gigantic images. Werll , the orange mains lead would look better in white. It all looks great, lovely setup. My old Lehmann fits in well. Nice, neat and tidy looking system! Only one visual improvement left to do: tape the signal lead from the TT to one of the rack's vertical members, and the mains cable to the other. That way they will disappear from view to complete the cosmetics. Oh - and find a new white mains lead to replace the orange one. ... and you might like to try these if you want a bit more clarity and focus to the sound. Look posh for that price... tried em ? All looks great Rich. Very nice, I came an inch from buying the same turntable. A clean looking set! I can see why you’re happy with it. Funnily enough tidying those cables is on my fine tune list still to do, but I only have green cable ties to hand so I'm going to pick up a couple of black ones.